Hey folks, we’ve fixed a date for our next Grit Lit. 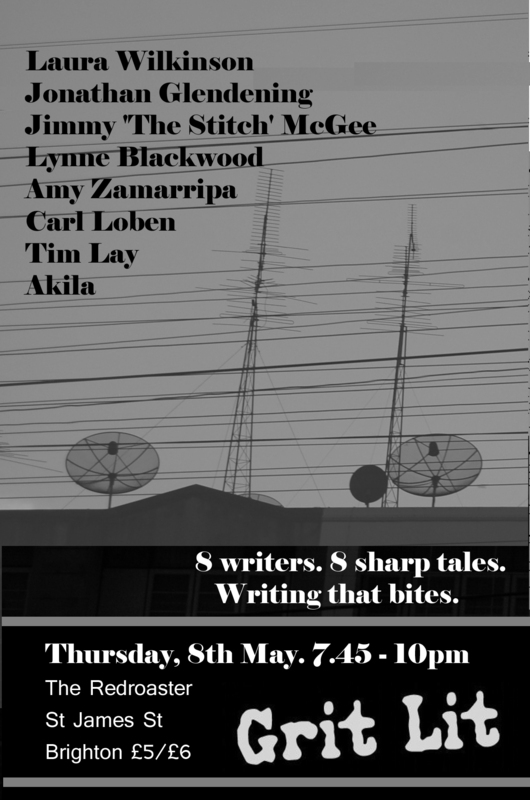 Put Thursday 8 May, Redroaster Coffeehouse, St James’ Street, Brighton – doors 7.45, start 8pm, goes on until 10pm in that diary to get your dose of stories from the edge. Grit Lit 8: December 6th 2012. Confirmed lineup. Nina De La Mer, author of rave inspired 4.am. reads from her novel in progress. Simon Nolan (AKA Simon Maginn), acclaimed horror writer, reads from his novel Whitehawk. Brian Bell (AKA Charlie McQuaker) songwriter and author of Die Hard Mod. Colette Berhardt, Guardian journalist and winner of the 2011 Digital Festival’s Flash Lit Fiction slam. Mathilda Gregory (AKA Mathilde Madden), comedy writer for the BBC. 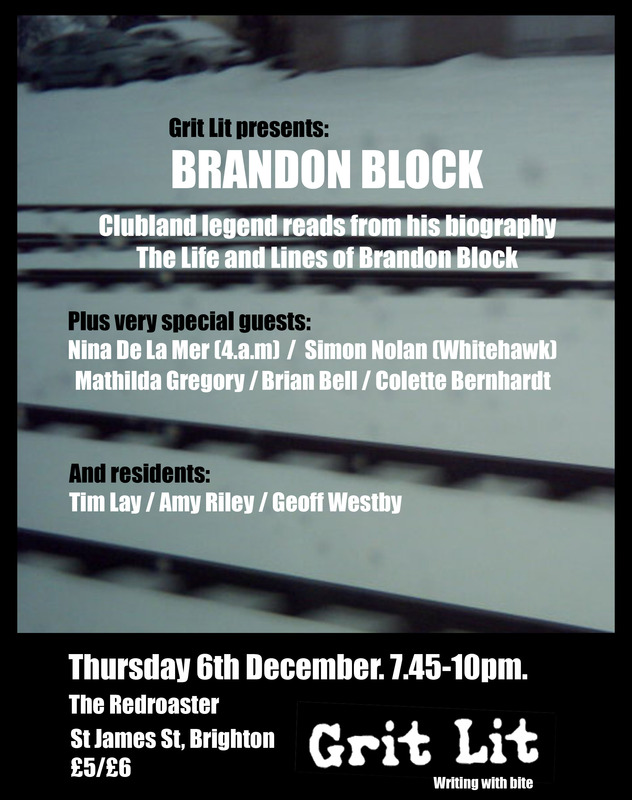 We’re delighted to announce a classic line up for our winter Grit Lit session at Brighton’s Redroaster! Ibiza legend Brandon Block, legendary DJ and legendary caner who will be reading from The Life & Lines Of Brandon Block. 4.am. author, Nina De La Mer, reading an extract from her novel in progress. One of Brighton’s finest, horror and psychological thriller writer Simon Nolan. 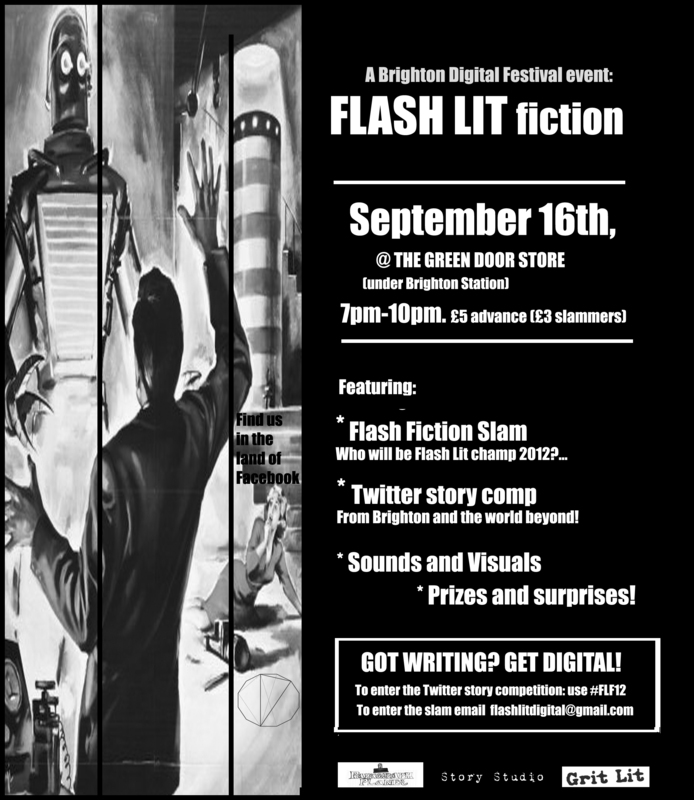 Don’t miss this great night – 12 flash fiction competitors battle it out in 3 heats until there’s 1 ultimate victor. Plus we’re running our popular Twitter story competition. Just use #flf12.